What are our buildings clad in? 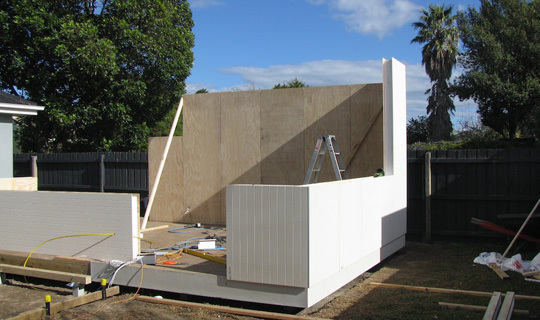 Habitech uses Magnesium Oxide (MgO) Board as the external cladding on our modular panels. Approved for construction use in the USA in 2003, MgO board is a new generation of high performance construction material. It is an advanced material that meets the modern challenges of changes to safety and durability in building codes over recent years. With recycled timber as its major component, MgO Board provides a significantly more sustainable solution in comparison to alternative products. Grand Design’s Kevin McCloud nominated MgO as one of his 10 ‘green heroes’ of 2011, for its ability to absorb CO2 during its manufacture. Although MgO Board is a relatively new material in its current form, MgO based cement has been used for centuries and has stood up to great tests of time. It is known to have been used during the Roman Empire and as mortar in The Great Wall of China. More recently, MgO Board was used extensively in the Taipei 101 tower in Taiwan - at 509m, when it was completed in 2004 it was the tallest building in the world. MgO board is a timber and cement based composite cladding board. 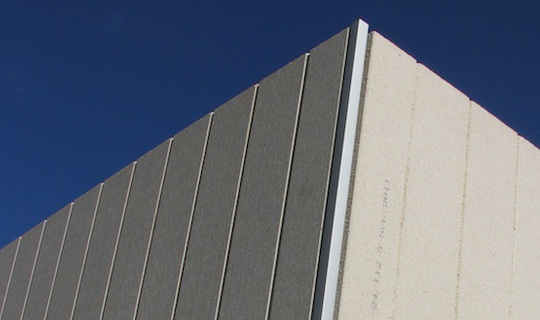 It is an alternative to conventional gypsum or fibre-based cladding boards, such as compressed fibre cement sheet or products such as Scyon. Recycled Timber – With 50% of its composition being recycled timber, MgO board effectively turns waste timber into a new product. Locking the carbon contained in the timber into our panels, MgO board offers an environmentally friendly, timber based solution that does not require the logging of extra trees. Magnesium Oxide - Due to very strong ionic bonds between magnesium and oxygen atoms, magnesium oxide molecules offer a lightweight material with great strength and longevity. It is chemically and physically stable at high temperatures and is one of the raw materials for making Portland Cement, a base ingredient of concrete used worldwide. MgO is most commonly used as a principal fireproofing ingredient in construction materials and in refractory manufacture e.g. furnace, kiln and incinerator linings. Fibreglass Mesh - A small quantity of fibreglass is used in our boards as a lightweight mesh that makes the boards tough and durable. While the MgO cement provides strength, it's the fibreglass mesh that gives the boards the ability to flex and absorb movement. MgO panels are fire, water and UV resistant making it a safe, clean and long lasting material. It contains no asbestos, is soundproof, and can keep its shape and character after soaking in water for a few days. It is non-absorbent and non-nutritious to mould, fungus and insects. UV resistance means MgO panels will not fade and deteriorate over time as a result of being exposed to sunlight. We are able to deliver the outer MgO surface of our panels with a textured finish and vertical grooves that have a similar look to Shadowclad and other timber cladding. The surface may be clear finished or painted with a range of paint systems. The use of CNC routers (computerised cutting machines) in our manufacturing process also allows for customised designs to be routed into the panels for specific projects, and even the manufacturing of graphics across full façades. 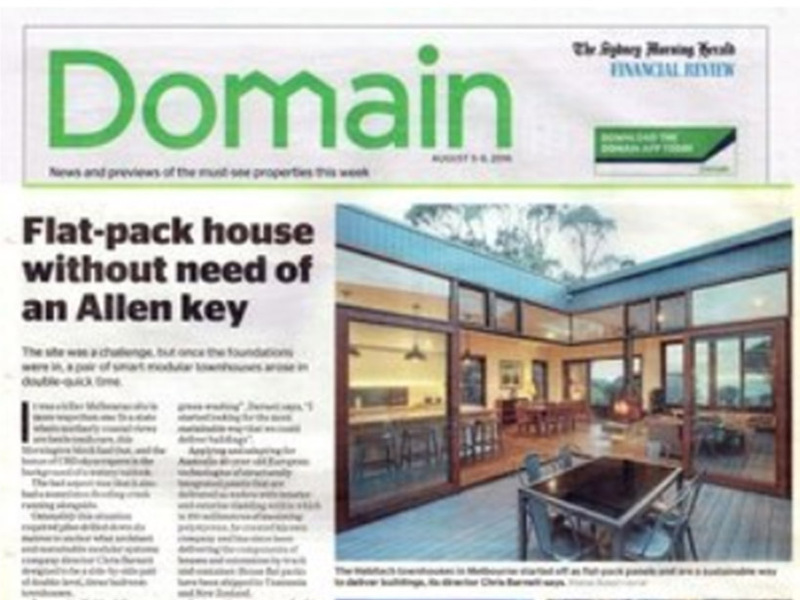 Recycled timber - 50% of the composition of MgO board is recycled timber. Production of MgO board is energy efficient and low emission. The MgO cement is cast in a liquid slurry-like form and sets by a naturally occurring exothermic chemical reaction of the combined ingredients. No additional energy input is required. The cast boards are then cured at ambient air temperature. This process actually draws down CO2 gas out of the atmosphere, making the board carbon positive in its base manufacture. Recycling off-cuts into the production formula as part of the manufacturing process minimises waste. MgO board is non-toxic. It does not contain any organic solvents, formaldehyde, asbestos, oils or other toxic substances that can have a negative impact on human health, waterways and the wider environment. MgO is mould and fungus resistant, does not off-gas and contains no toxic ingredients. This makes it perfect for those who suffer from allergies, asthma and other chemical and indoor environmental sensitivities. Around 35% of the earth's crust is made up of Magnesia, with major deposits being found in China, Europe, and Canada. The mining and refinement of Magnesium Oxide principally occurs in China, which is where our MgO boards are manufactured to international standards. While to date all of Habitech’s wall panels have been manufactured in Melbourne from Australian plantation timbers and materials, in this case we have had to turn to international supply chains to deliver the high-performance levels we are building into our products.